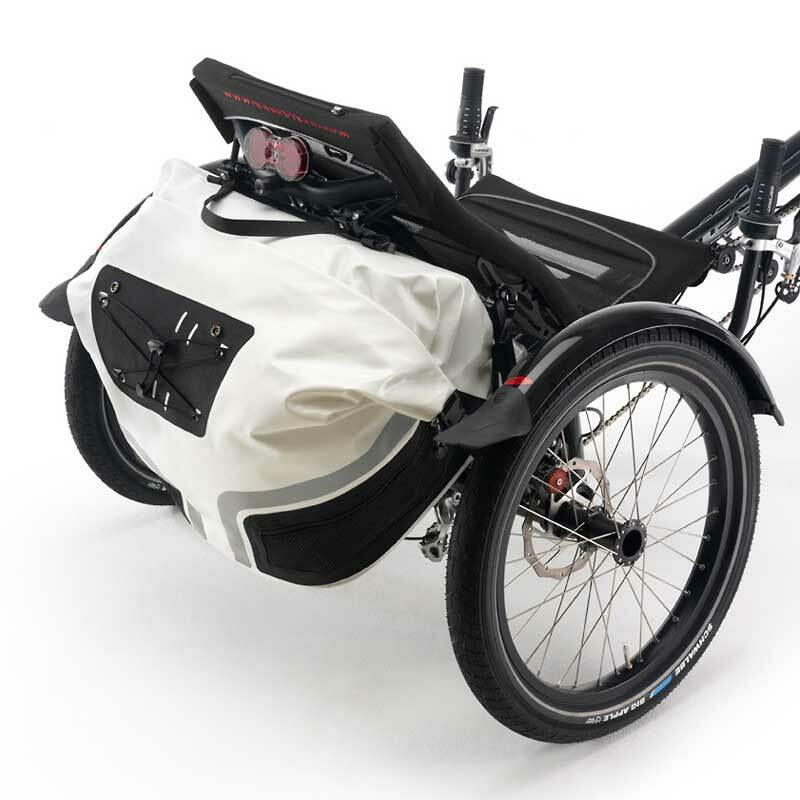 As a super-sporty recumbent trike, the TRIX has changed adaptive cycling from awkward to awesome. What's cooler than two speedy wheels? Three! If you want to move forward, just put up your feet and lean back in your seat. Sounds like a paradox, but it's just TRIX. 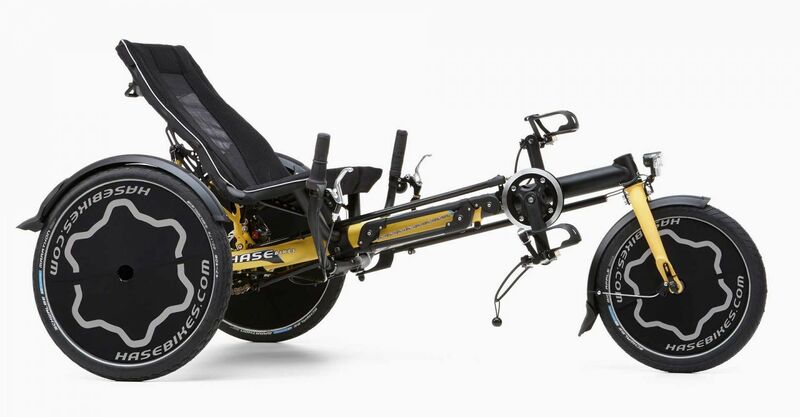 A recumbent trike with a low center of gravity, the TRIX is so stable and agile that even riders with severe disabilities won't have any problem leading the pack - and looking effortlessly cool while doing so. The TRIX may not be able to move mountains, but it can ride around them, and triking over them is pretty fun too. There's no place like home. Maybe. If you're 80 or a computer nerd. Otherwise, it's always more fun to be out and about with your friends. 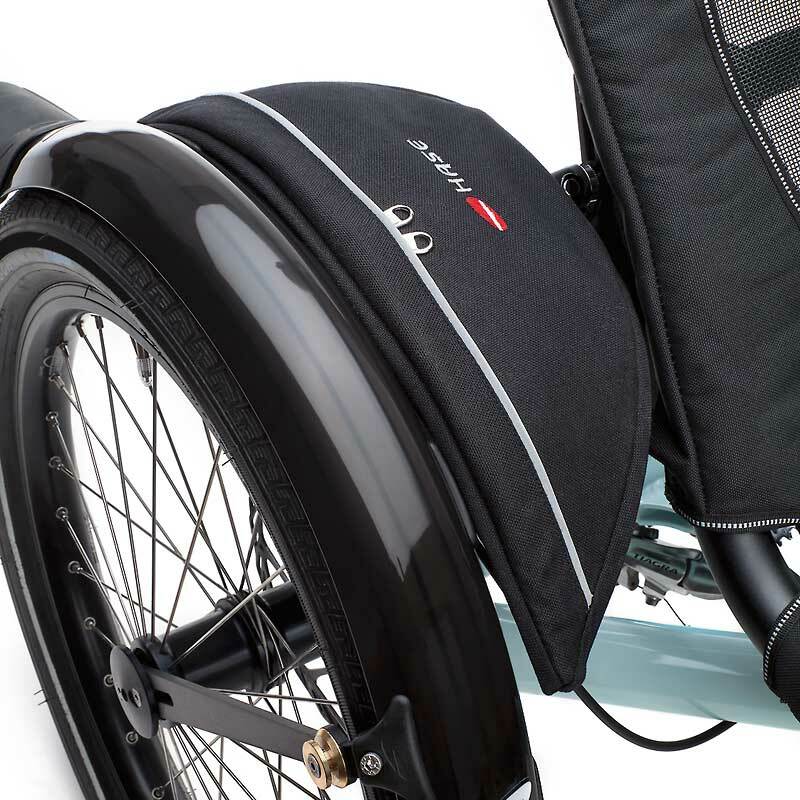 The TRIX is well-equipped for those times: with its high-quality disc brakes and special children's brake levers. If needed: the optional fixed gear helps you keep the rhythm with your pedaling. 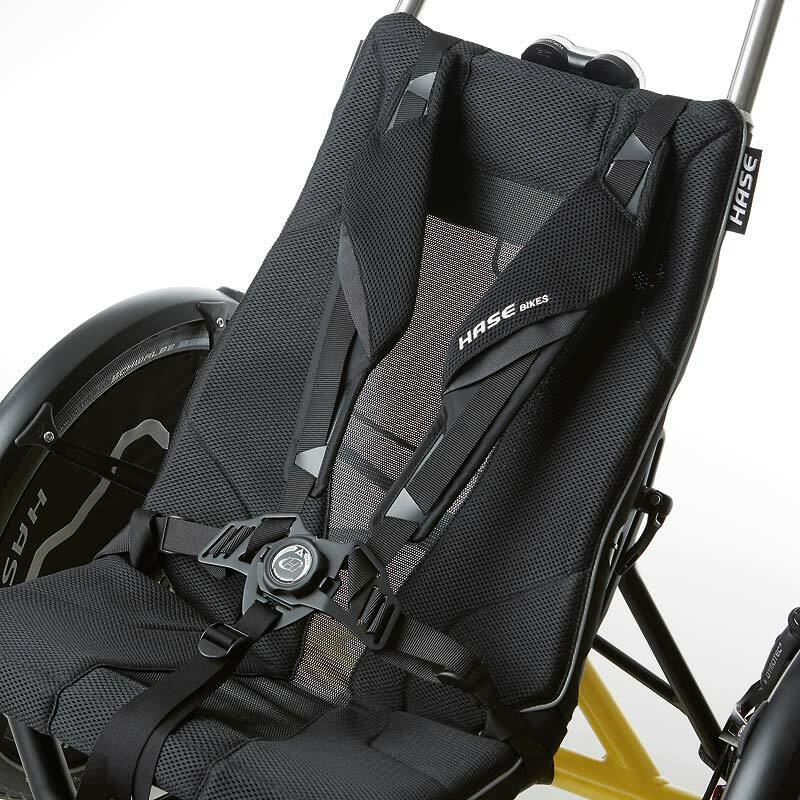 As a recumbent trike, the TRIX is also particularly intuitive to ride because you can see your legs while you're pedaling. This makes all the difference in the world. 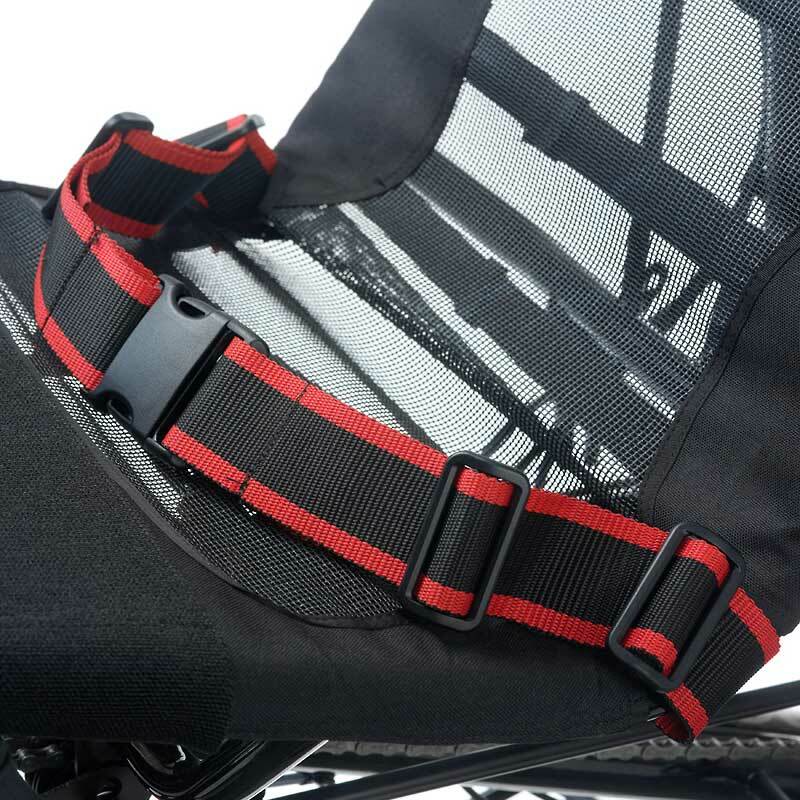 To make sure the rider's feet are held securely in place, the pedals are equipped with toe clips and straps. 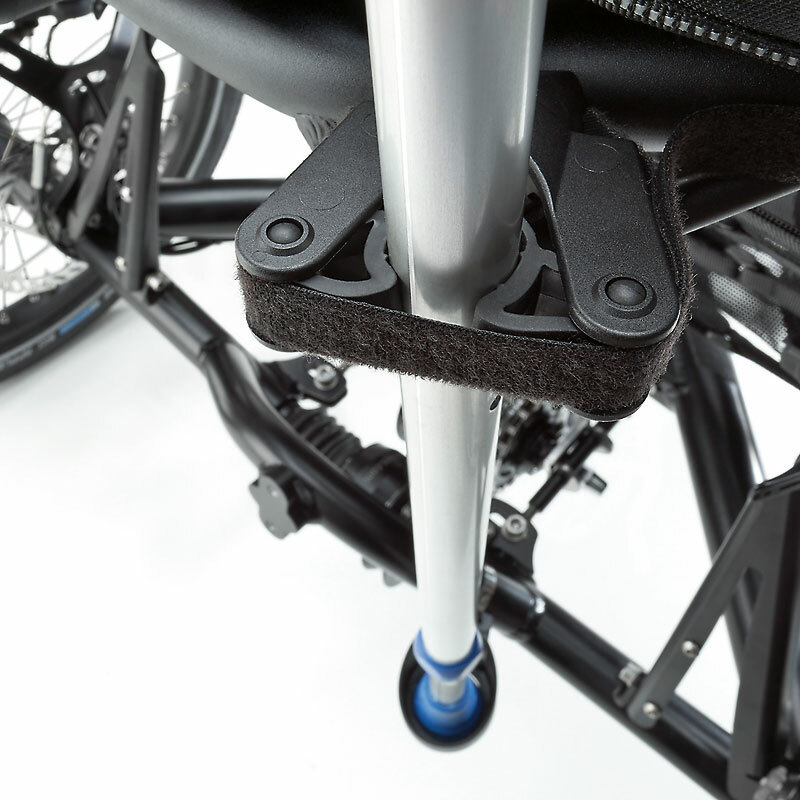 Pedals with calf support, along with many other adaptive accessories, are also available. 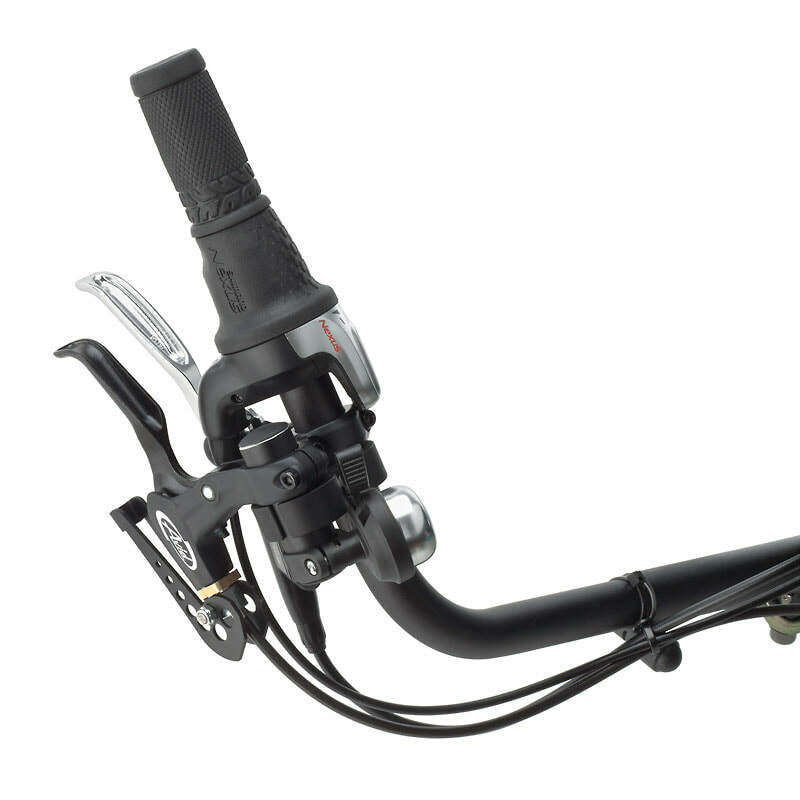 Other options: hydraulic coaster brake and single-hand controls. What's almost as fun as riding the TRIX? Sharing it! No disability, no TRIX? Nonsense. There's nothing like watching your friends' faces when they take their first spin. If the height difference isn't too great, the TRIX can be adjusted in a flash, thanks to the high-tech quick-adjust mechanism. 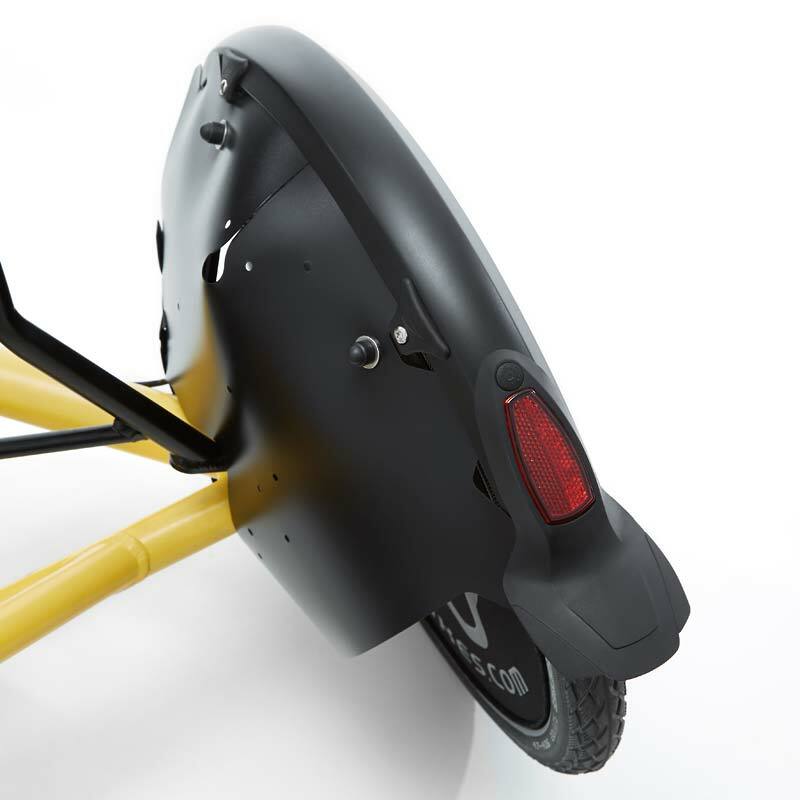 In general: anyone between 4'1" (1.25 m) and 6'3" (1.9 m) in height can ride the TRIX. What else can you do with the TRIX? Hang out, for example. The comfy seat feels like a hammock when you're chillaxing with friends and philosophizing about life, the universe, and the wonders of YouTube. The parking brake keeps you right where you want to be. 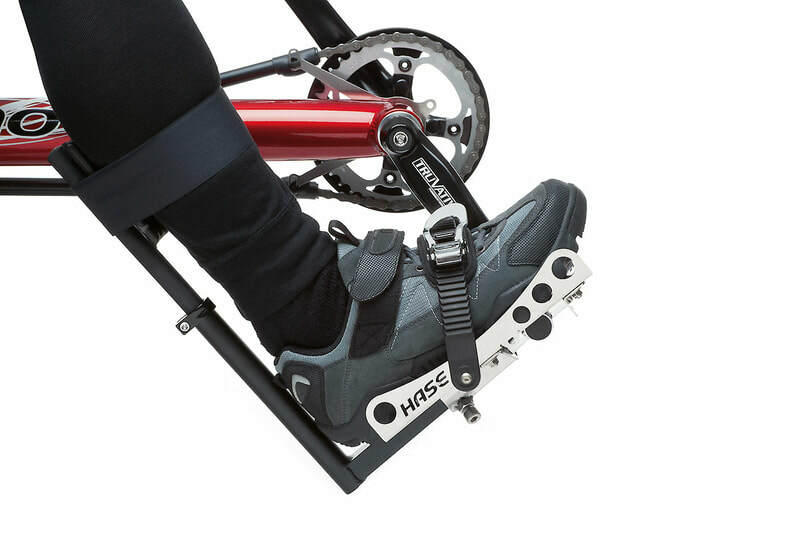 Special Pedals with Calf Support: In addition to the secure positioning of the foot on the Special Pedal, the calf brace provides stability for the lower leg and the angle of the ankle. 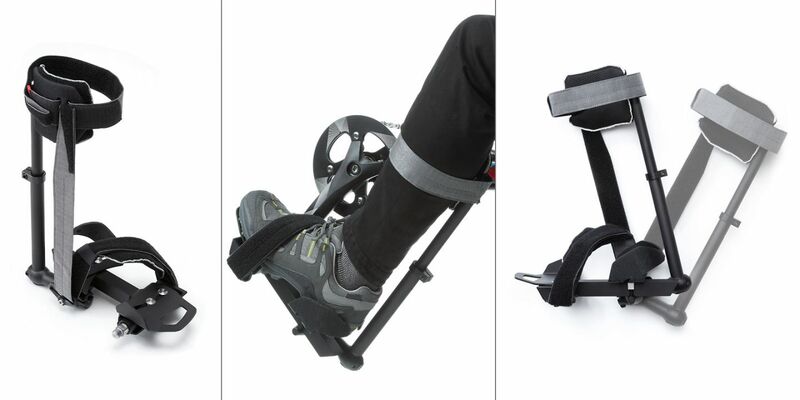 Special Pedals adjustable at foot contours: The feet of people with motor disorders can be strapped securely into these pedals, stabilizing them in an anatomically correct position. 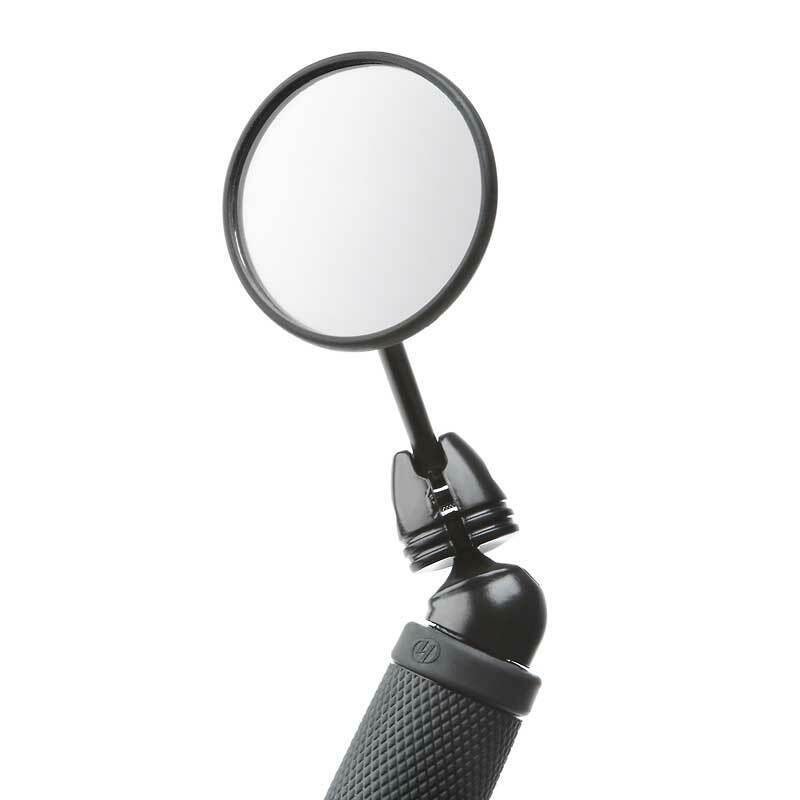 Sophisticated, but nevertheless easy to use. 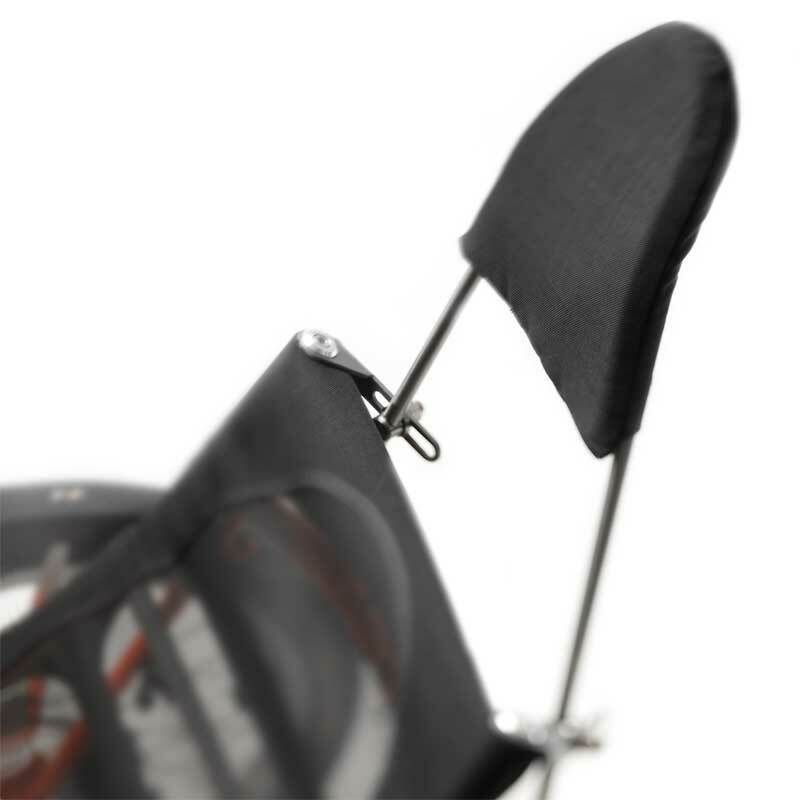 One-sided Leg Support A solution for people with paralysis on one side of the body or a disability. 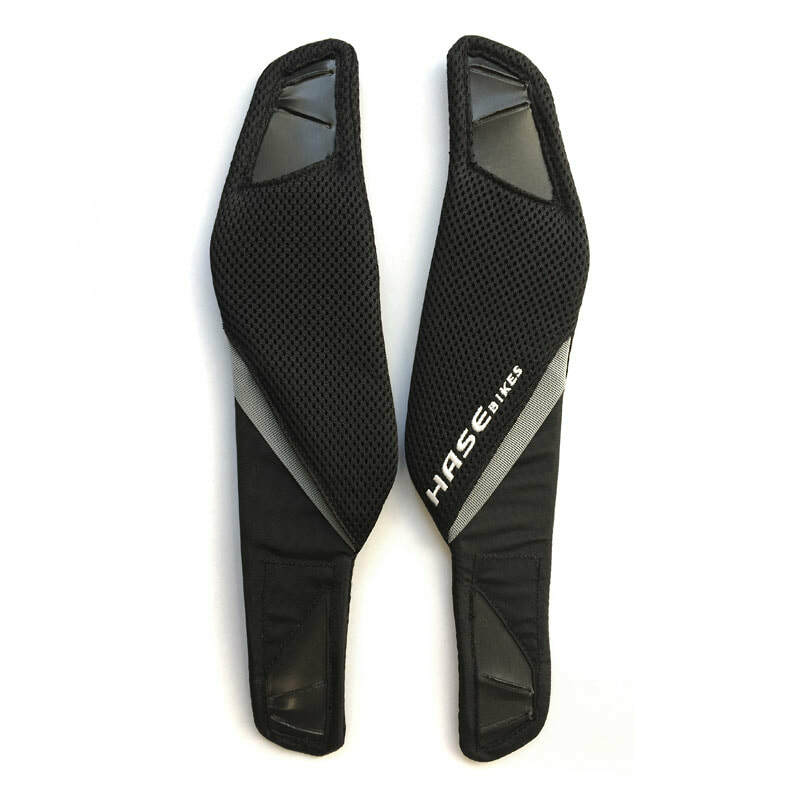 The healthy leg pedals while the other is safely strapped into a comfortable support. 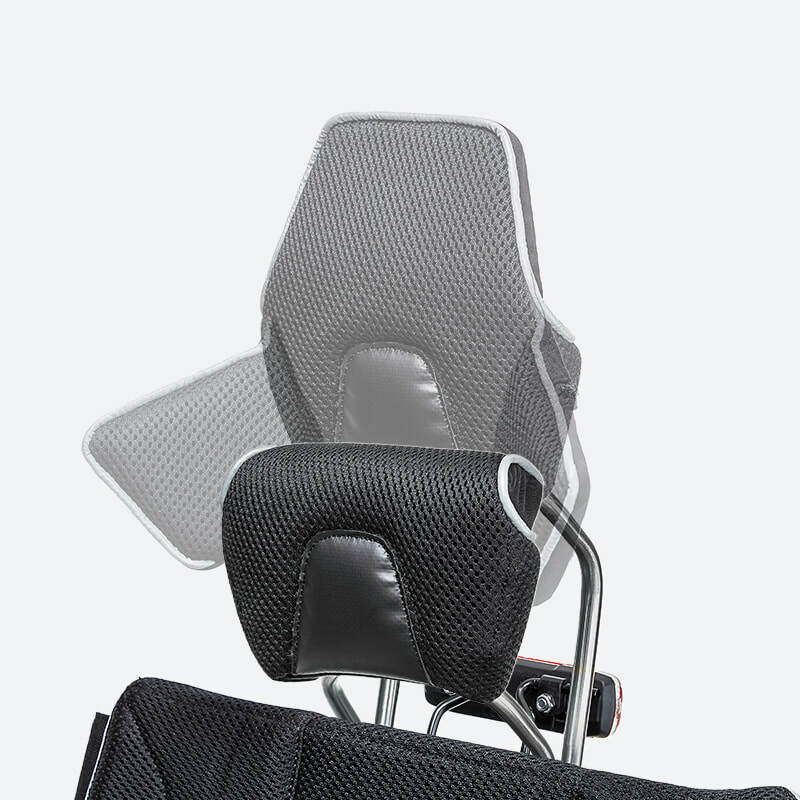 Infinitely adjustable. Mounts behind the bottom bracket. 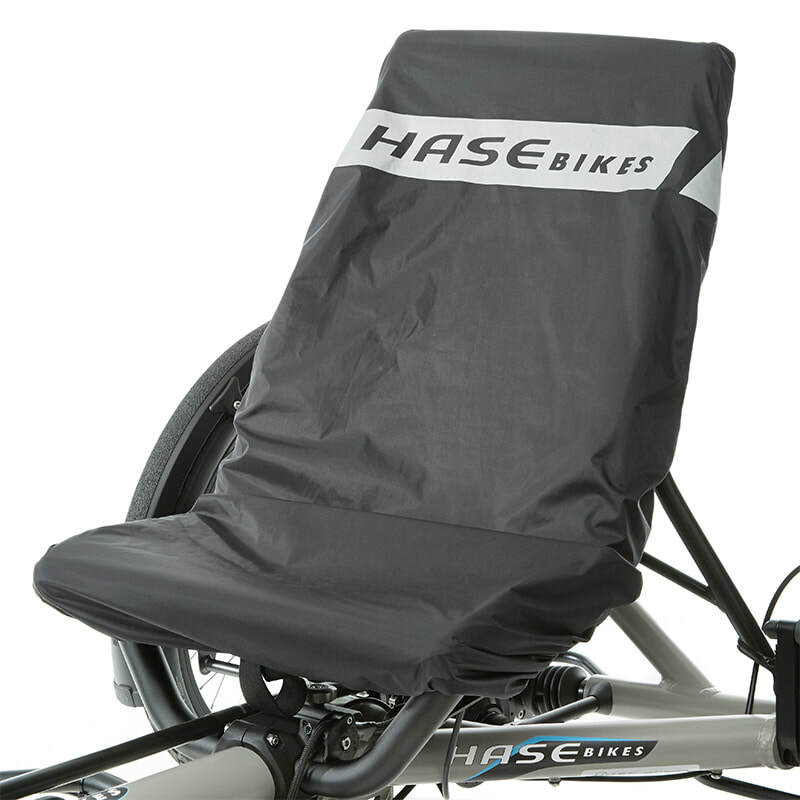 Redesigned Foldable Fairing: The new HASE BIKES Foldable Fairing has an improved design and even more functionality. 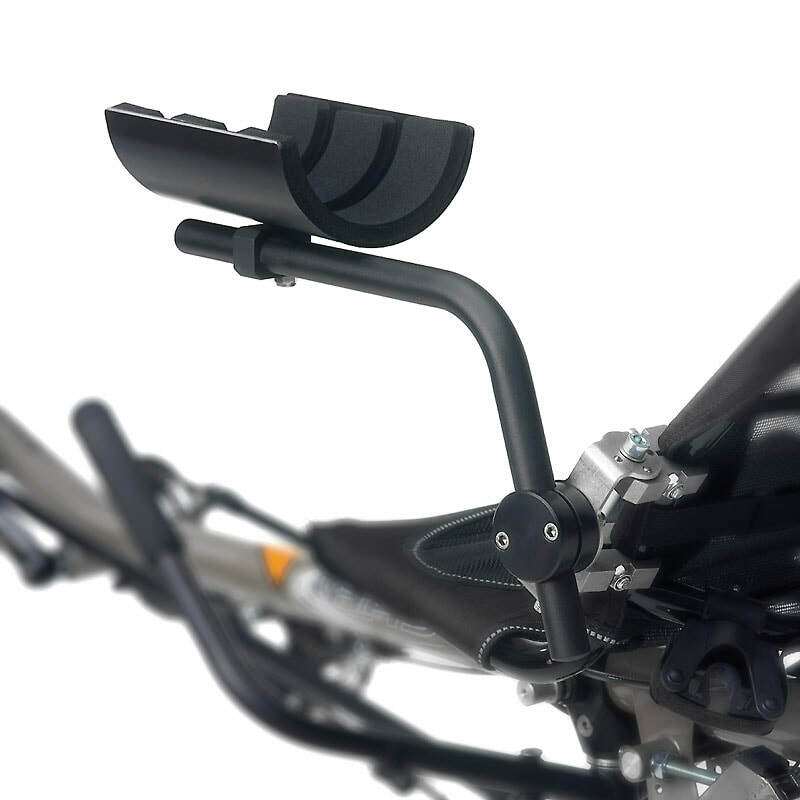 This multi-talented accessory still offers the same reliable protection from cloudbursts, but now features extreme stability in cross winds and the option of adding a Universal Smartphone Mount. 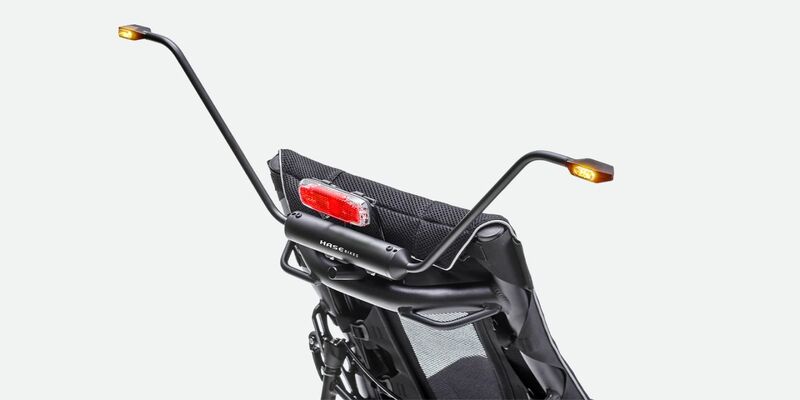 Thanks to the new design, its length and height are now extremely easy to adjust. 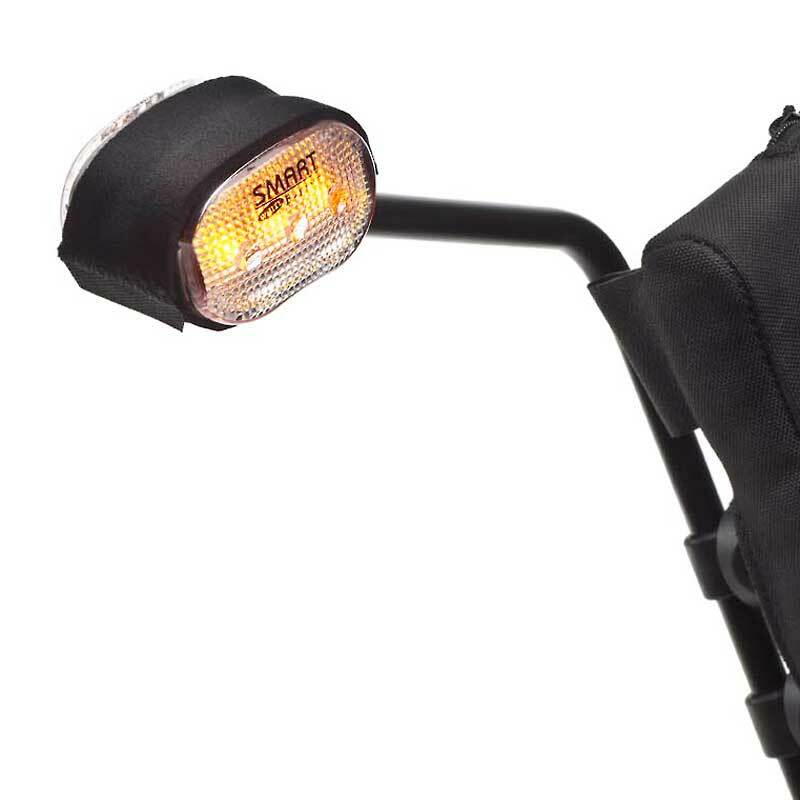 Bag for HASE BIKES Foldable Fairing: You're on tour, and the rain clouds roll in: with the super-slim Fairing Bag, rain protection is always on hand. 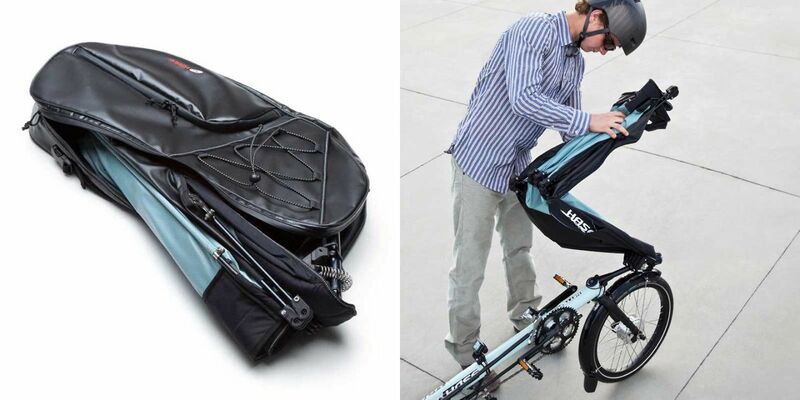 The bag has a special pocket for your keys and wallet, and it even offers enough additional space to store a jacket for those cooler hours? 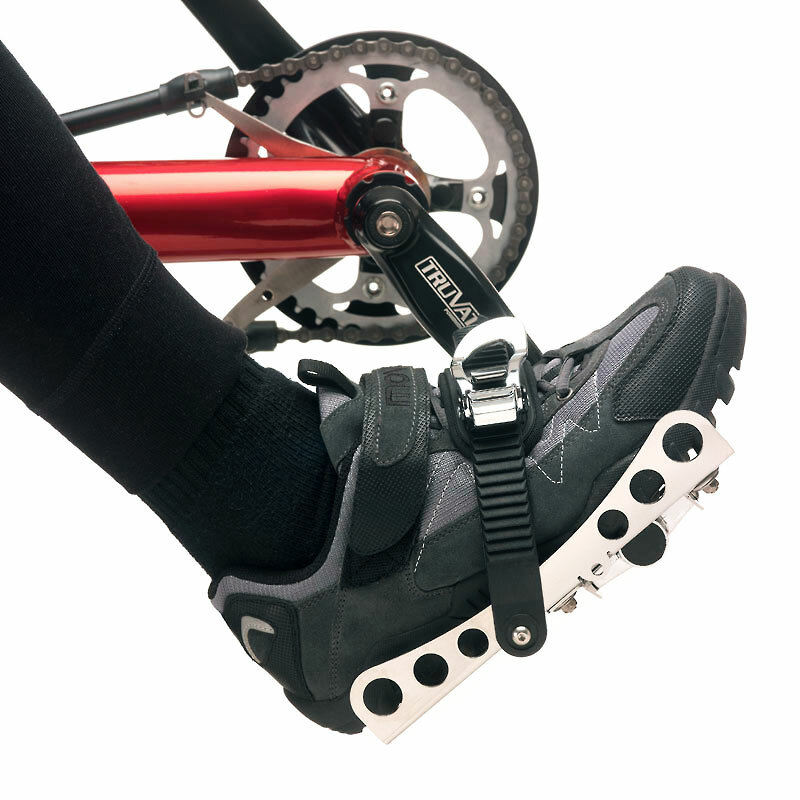 Pedals with Toe Clips and Straps: As an alternative to cleat systems: these pedals hold the front portion of the foot with a brace, guaranteeing the correct foot position, while the elastic strap around the heel prevents slipping. Also available for children. 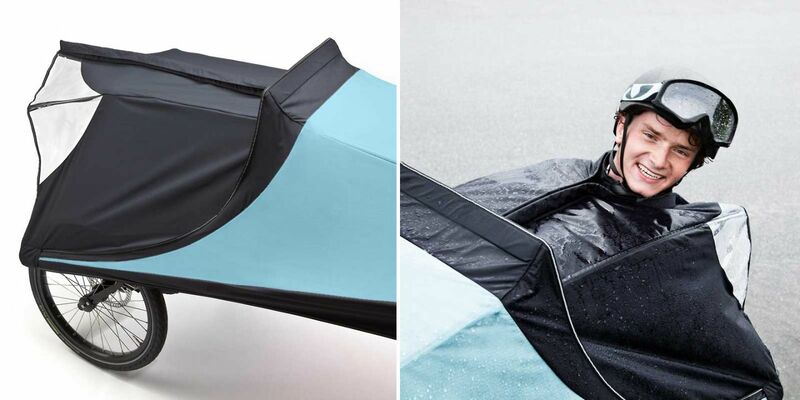 HASE BIKES Rain Poncho: Zip up for consummate coziness. With the Rain Poncho, everything from your neck down will remain absolutely dry, even in a downpour. 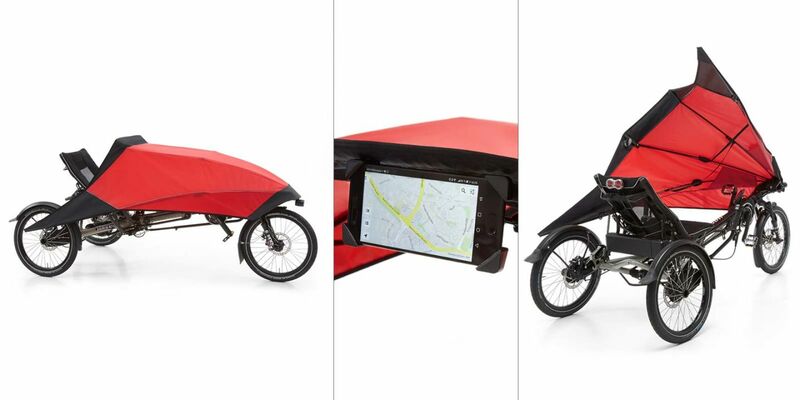 Just snap it onto the Fairing and climb in. Adjust using the magnetic zipper - finito. 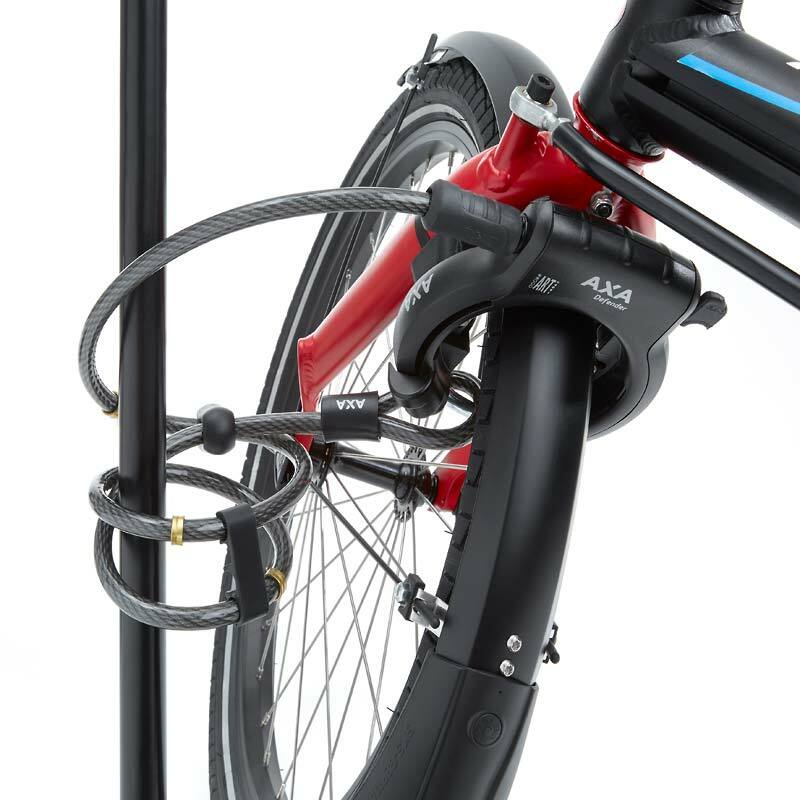 Frame Lock: As a secure option for locking any of its trike models, HASE BIKES is offering a Frame Lock from AXA with a special HASE BIKES mount. 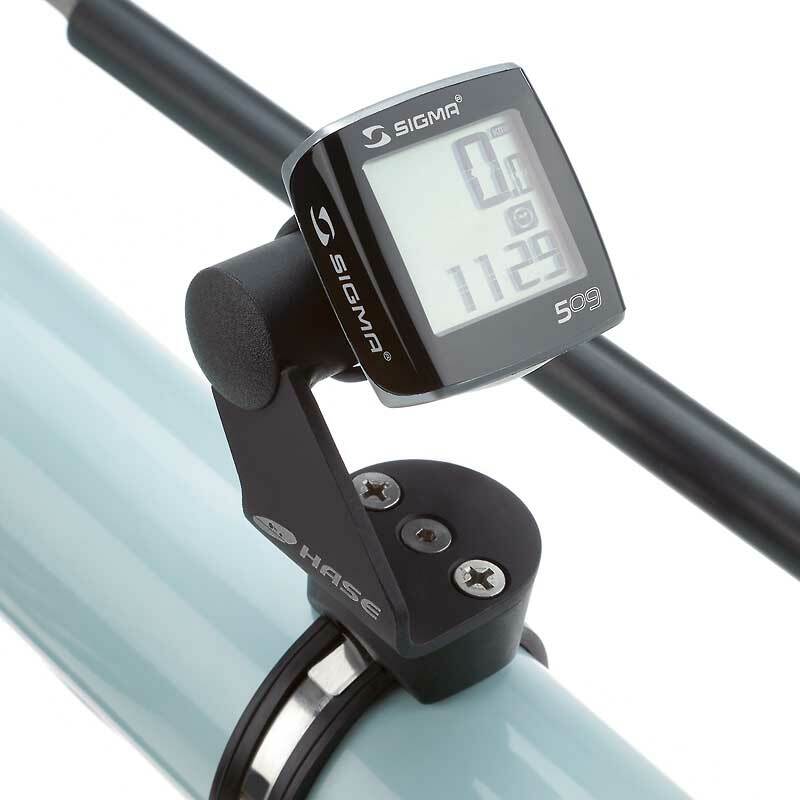 It comes equipped with an extra steel cable for securing the rest of the frame. 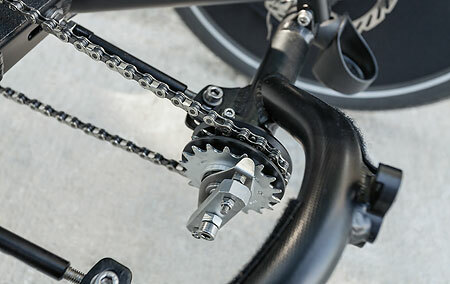 Crank Shortener with angle compensation: It may sound like something from a Monty Python sketch, but it’s actually an extremely useful ac- cessory: the Crank Shortener makes it possible to freely adjust the length of the crank arms, e.g. 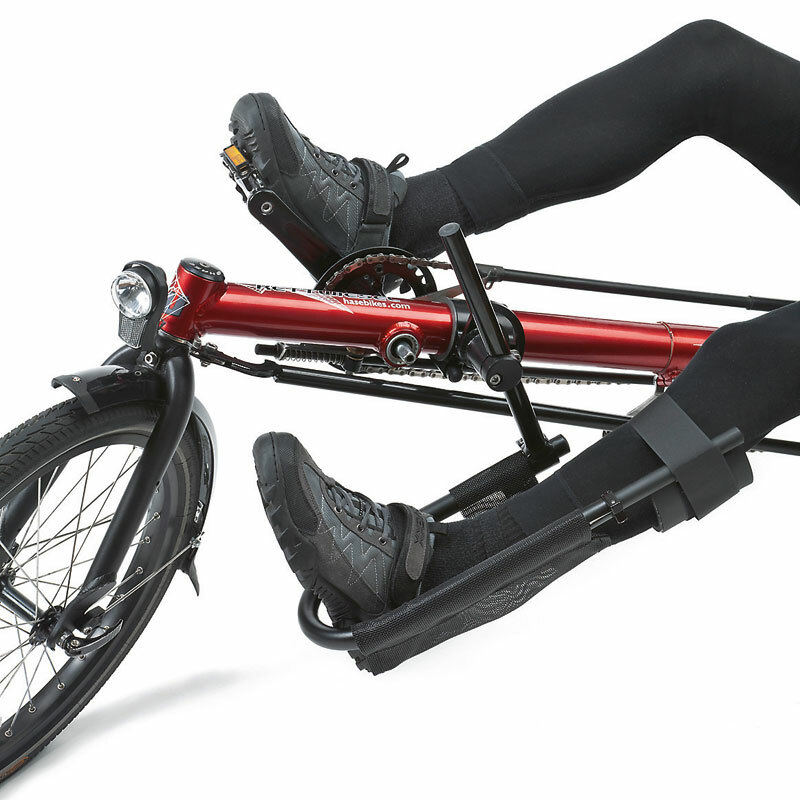 for riders with legs of different lengths. 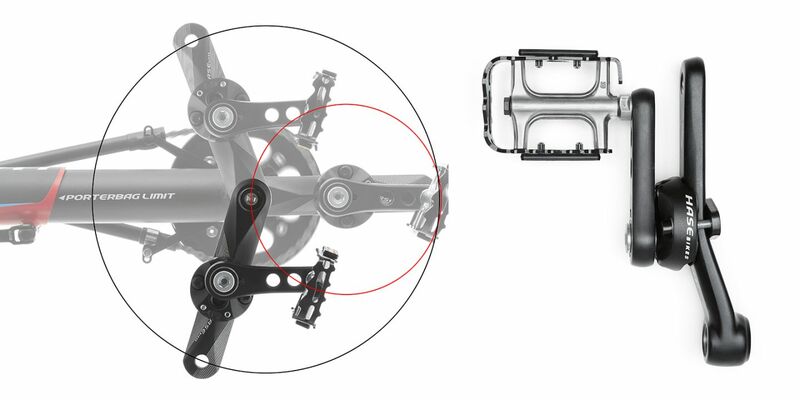 The new forged part not only looks nicer than the previous version but is also more robust and can even be properly aligned on offset crank arms. 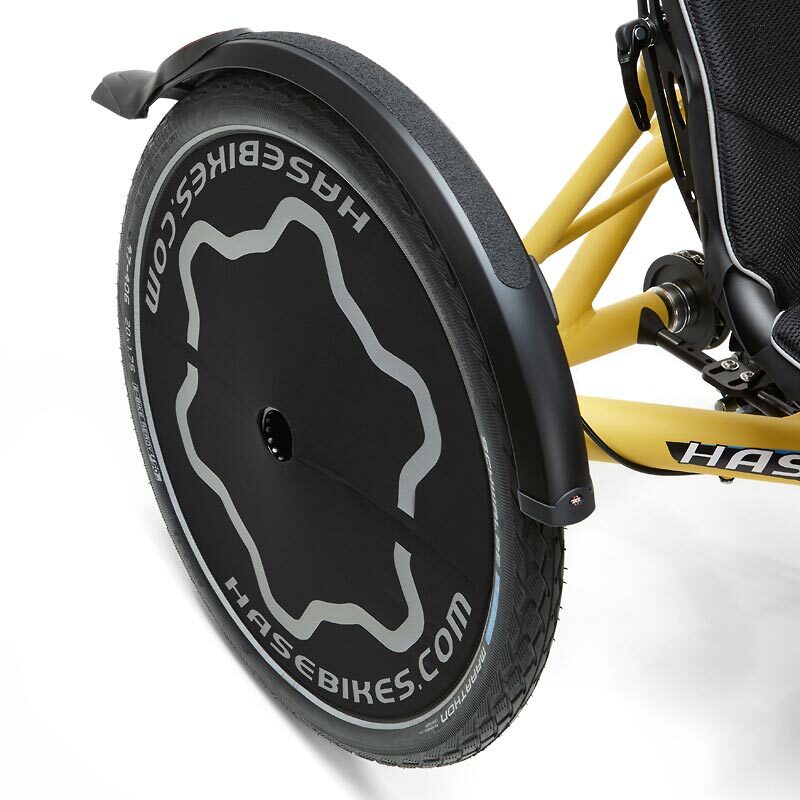 Safety Cover: HASE BIKES has developed a special safety cover that prevents riders from coming in contact with the wheels or brake discs. 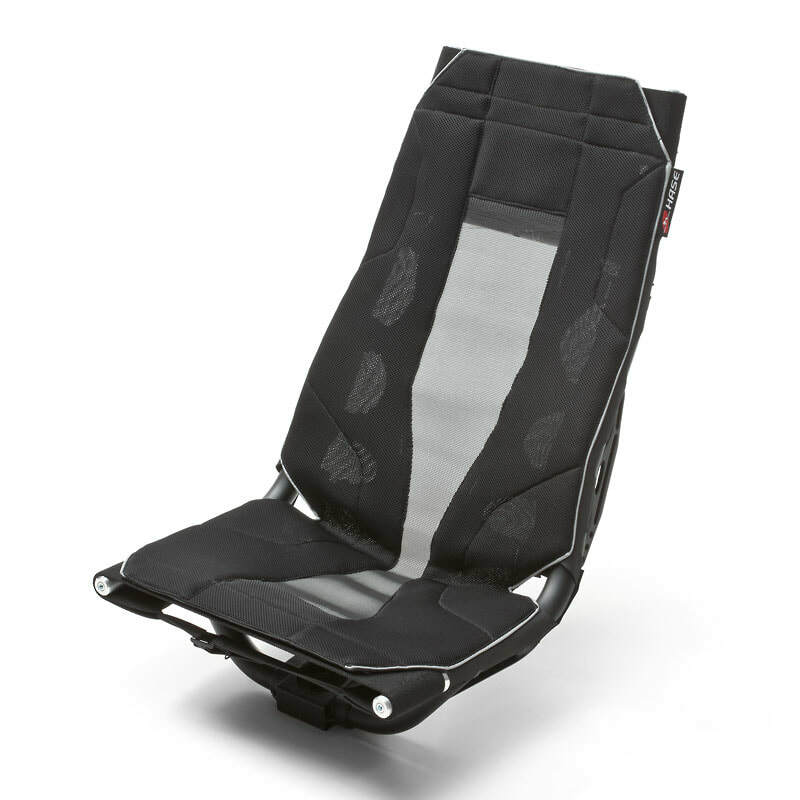 The covers are included with every Trix and Trets as standard features. Side Pouch 2.3L: Those "little things in life" can be kept within arm's reach: there's plenty of space for keys and cell phones in the chic Pouch, which attaches easily to the fender - ideal for day trips with no luggage (not compatible with the KETTWIESEL EVO and CROSS). 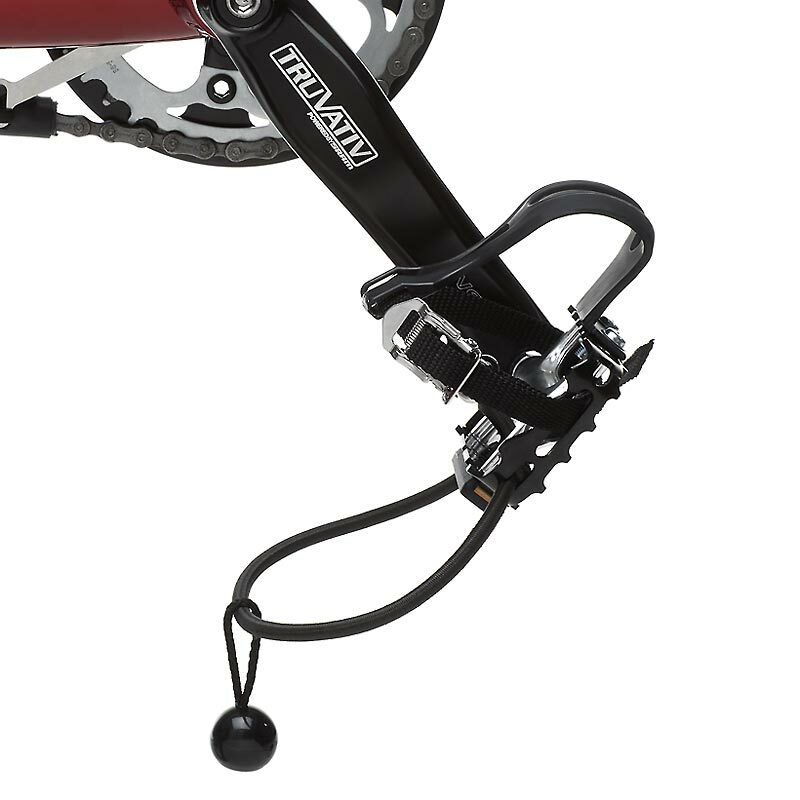 Pendulum Pedal with angle compensation: The Pendulum Pedal can help riders with severely limited mobility slowly gain flexibility and strength. The design of the Pendulum Pedal has been slightly updated, but the biggest change is the new hole. To be exact: a drilled hole. 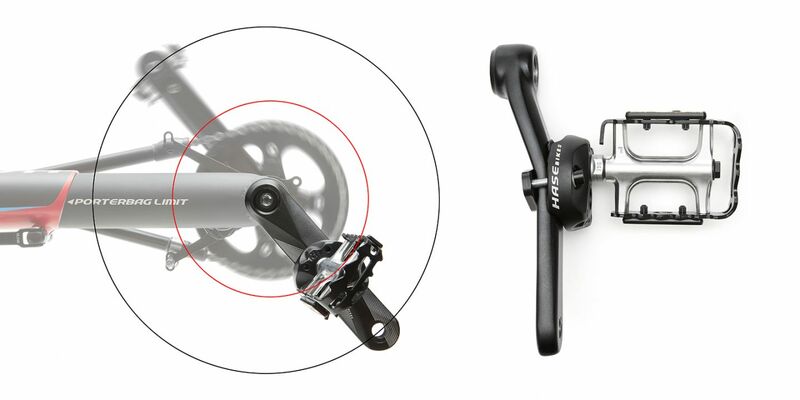 This hole can be used for reaching the adjustment screws of the Crank Short- ener, which saves time and hassle when adjusting the position. The ovens here have long since been switched off, but it was still plenty hot. A perfect summer day for taking pictures for our brochure. Enjoy our video full of fun memories! The TRIX has been "a huge hit," according to the cycling club at the Kaywald School for children with mental and physical disabilities. 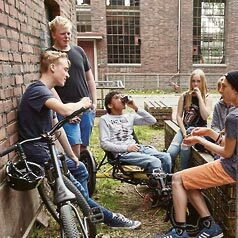 The teachers talk about how the experience of cycling has affected students' lives - as well as their own. Crossing the Alps: making tracks with the TRIX! The cycling club of the Kaywald School crossed the Alps in the summer of 2015 on recumbent trikes and semi-recumbent tandems. Learn more about their experience here. When Samuel comes zooming around the corner on his trike, people can't help but stop and smile. And the biggest smiles of all are on his parents' faces. The young teenager is a true ray of sunshine - and, thanks to his TRIX, mobility is fun again. Beyond a field of head-high crops, the sound of a motor can be heard. But not a real one: a child is going vroom, vroom, vrooommm! Then a boy comes barreling around the corner on a trike, screaming with delight. Vroom. Followed by a small cloud of dust, which has barely settled by the time he's out of sight again. "Samuel is our ray of sunshine," says Betty Fernandez, the boy's mother. "He wakes up practically laughing and is in a good mood all day long," adds his father, David. Samuel and his parents are on one of their "walks," which look something like this: 13-year-old Samuel races around on his TRIX while Betty and David try to catch him... the family's own version of tag. Or he rides ahead to an agreed stopping place and waits for them to catch up. Once the parents - finally! - arrive, Samuel gets a gummy bear treat for his patience. "The two of us aren't really bike freaks," explains Betty, almost apologetically, "which is why we go walking with him. But we still have loads of fun." Especially Samuel. It wasn't always this way: Samuel has Sjogren-Larsson syndrome, a genetic disorder that is actually most common in Sweden. In many cases, the disease progresses during periods of rapid growth, causing severe spasticity. After puberty, the condition remains stable. This is why Samuel is currently spending a lot of time in therapy sessions: occupational therapy, speech therapy, and wheelchair sports. The disease also causes mental retardation. Therefore, he can only be out and about when someone is with him. 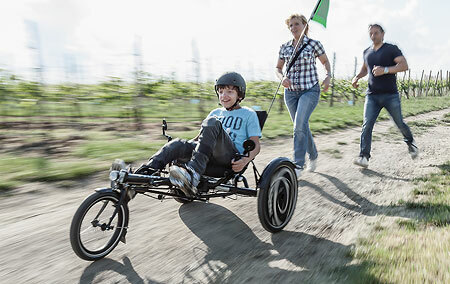 Samuel first experienced triking at the summer festival of his special school for physically disabled children. "The TRIX is part of his therapy - bit it's the part that's really fun for him, " explains David, who works in the quality assurance department of a pharmaceutical company and is therefore no stranger to the field of medicine. Samuel uses a rollator and can only stand with the help of special devices called "orthoses," which support his joints. 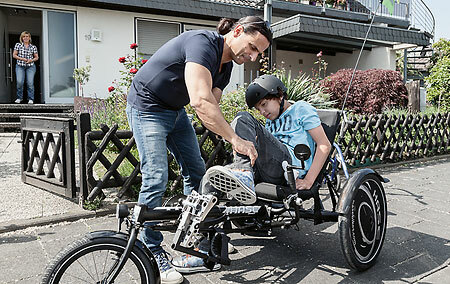 But in the driver's seat of his trike, he experiences how much fun mobility can be. "Because of his spasticity, he wasn't able to ride a standard TRIX with gears and a freewheel - he can't pedal consistently." 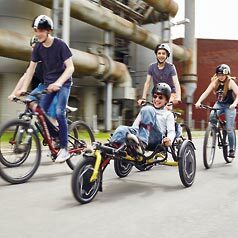 In other words, a little more customization was needed - no problem with the versatility of HASE BIKES: "We had them equip the trike with a fixed gear and special pedals with calf support. Now, riding is a piece of cake." 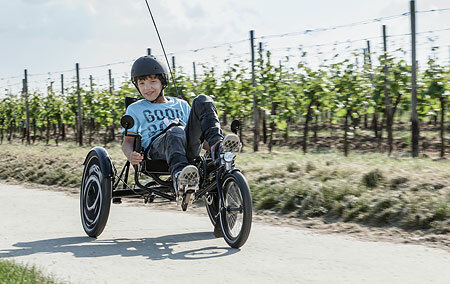 Without a freewheel, the pedals keep moving as long as the trike is in motion, even if Samuel loses his pedaling rhythm. 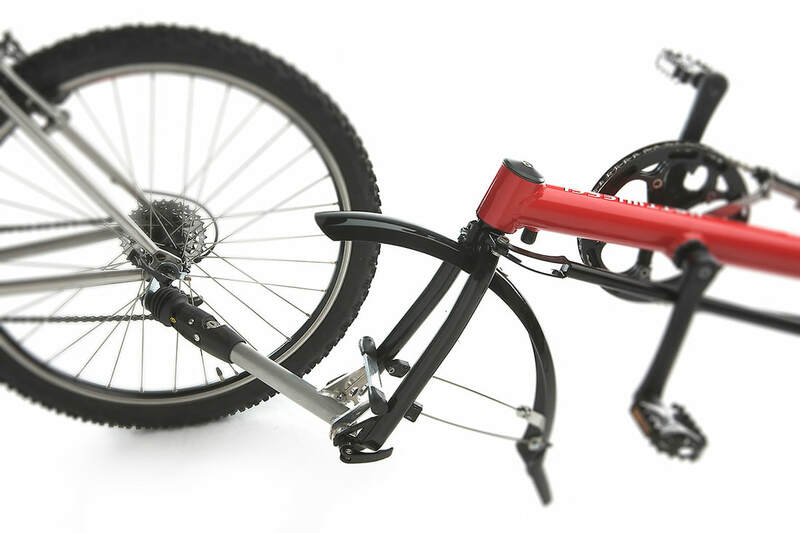 And everyone knows that fixies are the latest rage.